Lyn Tampon has been living and working on the islands for almost two decades. She has worked in safety products and safety training for most all of her career. Lyn also participates in local contractor and safety organizations. Safety training is her passion and it shows in her enthusiastic, thought provoking presentations. She has numerous certifications and accreditations in the safety industry along with being an OSHA Outreach Instructor for Construction, General Industry, and Maritime. It’s this knowledge base along with her practical, “keep it simple” approach that allows her to offer clients practical solutions to their safety needs. Ed Williams, CSHO has been in safety training for almost 30 years. Along with his experience in the manufacture, distribution, and use of construction safety equipment, he also has experience as Safety Director and in Risk Management for the construction industry. It is this diverse background along with his safety responsibilities in plant operations and industrial applications that makes his presentations so well rounded, informative and very understandable by the attendees. His “get the work done, and do it safely” style of presentation along with his experience with the regulations, allow him to offer practical applications for each student to incorporate into their worksite or facility. Ed Williams received his Bachelors in Business Administration from Sam Houston State University in 1984. Along with participating in various industry training and seminars, he continued his education in safety though the OSHA Training Institute, Des Plains, IL. Ed was authorized as an OSHA Outreach instructor in 1992. He continued to add instructor certifications and increase course offerings. He also participated in national organizations such as AGC, ABC, ASSE, AWWA, & NUCA while maintaining experience in construction as well as in general industry safety positions. 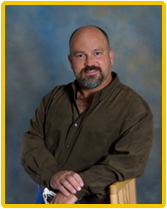 In 2002, he received his NUCA, (National Utility Contractors Association), instructor’s certification. In 2008, Ed Williams was hired by The University of Texas at Arlington for their OSHA Training Institute Region VI program as an instructor. For the past several years Ed Williams has been a dedicated trainer and consultant to the safety industry, concentrating on increasing his own knowledge base and adding to his course offerings. Ed is promoting safety in construction and general industry across the country through his consulting, training and participating in contractor associations. 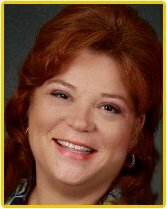 JaneAnn Brown has been a professional bi-lingual, English-Spanish, educator for over three decades. She is an OSHA Outreach Instructor for the construction industry through the University of Texas at Arlington OSHA Training Center, Region VI. Along with the instruction of OSHA 10 hour and OSHA 30 hour classes, she also has experience in teaching Excavation Safety and Confined Space Entry Classes. In English or in Spanish JaneAnn will get your personnel the information they need for a safer, more productive job site.